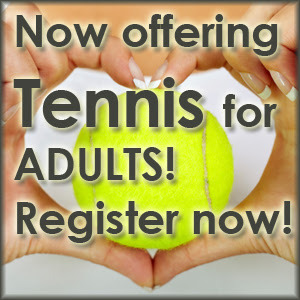 In addition to a very popular tennis program for kids, we are now offering tennis for adults! Have loads of fun while improving strokes with this United States Tennis Association QuickStart curriculum. Consistent instruction of basics and beyond builds a solid tennis foundation. This combination of fun and effort develops attention span, stamina, discipline and confidence. Classes held at the tennis courts at Founders Park. Register in person at Wylie Recreation Center or Bart Peddicord Community Center -OR- register online.